February 14 2012 - The Blade Arrow Precision Attack Munition (PAM) was unveiled today by UVision Air Ltd. five years after being first demonstrated. The PAM concept brings new offensive capabilities for precision strike of high-value and timesensitive targets, in complex terrain and urban background. UVision’s Blade Arrow provides long range, highly flexible precision strike capability for the modern battlefield. Blade Arrow allows the maneuver echelon to conduct independent target acquisition, and allows ‘ambush’ of short-lived targets-ofopportunity, using small warheads and high precision for reduced collateral damage. 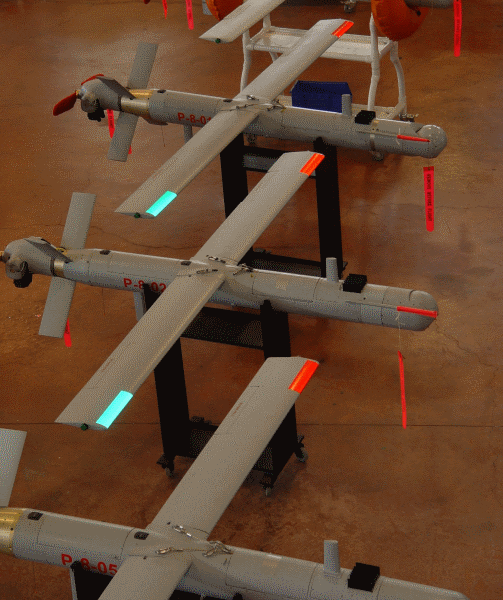 Blade Arrow is a long endurance PAM which can be launched from either a launchcanister or a rail-launcher, and provides full tactical UAV ISR capabilities using the MicroView high performance FLIR/color CCD electro-optical seeker with autotracking capability. The operator can search, detect, attack and hit high value relocatable, time critical, land or sea-based, moving targets with pinpoint accuracy at long ranges. 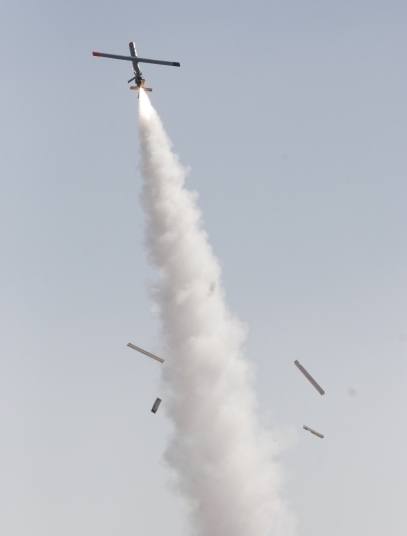 A Blade Arrow unit is comprised of PAM launchers and a Ground Control Shelter (GCS) that enables vehicle control with Man-in-the-Loop operation, engagement or abort attack capability in real time, avoiding collateral damage. 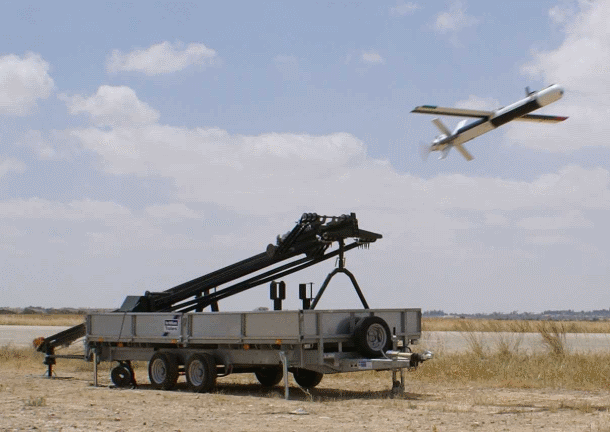 "Blade Arrow is a testament to UVision's focus on providing breakthrough operational capabilities to the warfighter for complex engagements on the modern battlefield, by designing advanced products which can be produced at affordable prices" said UVision's CEO Mr. Ephraim Zuckerman. "These new concepts for operations have attracted significant interest from customers dealing with the need for effective and quick reaction in today's complex battlefield, and Blade Arrow complements the wide array of solutions we currently offer". UVision designs, develops and manufactures unique, cost-effective, UAV system solutions, with core competencies including highly innovative aerodynamic platform configurations tailored for unique flight qualities, advanced airborne guidance and navigation systems and command and control stations fully integrated with communication links. For more information about UVision please visit our web site at: www.uvisionuav.com.